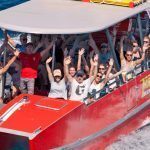 Snorkel day tours are a great way to explore the amazing Great Barrier Reef, especially when you’re limited on time. Even though you’re only exploring the reef for a day, that’s more than enough time to experience the diversity of marine life and plentiful coral gardens. 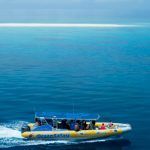 Snorkel trips for the day are an exciting way to see the reef as you don’t have to take any scuba diving courses to find adventure. Anyone who is able to swim is able to snorkel, so you don’t have to worry about taking any classes. Plus, all of the equipment you need is included in the snorkeling tours; making it easy and convenient for your snorkeling vacation. 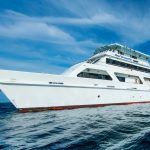 With Reef Experience snorkel day tours, you will have the opportunity to visit two beautiful locations during the day, as long as conditions are ideal. Not only will you have the chance to explore the largest reef system in the world, but you’ll also find it’s a very relaxing experience. 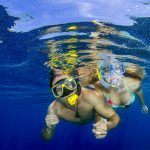 No matter if you’re booking a snorkel day tour by yourself, with your spouse, or your entire family, there’s a trip that’s right for you. 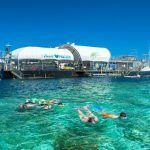 The affordable snorkeling tours are perfect for any getaway, even if you have children. As long as your children are able to swim, they are able to take part in the snorkeling excursion. 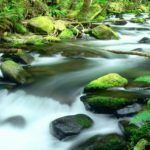 As the sites you’ll explore remain in close proximity to the shore, you’ll have plenty of time to head back to land for more vacation activities. 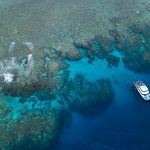 Or, if you’re only in Cairns for a day or two, you’ll still have time for more outings without having to miss out on visiting the Great Barrier Reef. Although the snorkeling locations are close to the shore, you’ll still have an unforgettable time. 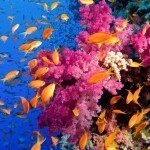 The vibrant coral gardens remain plentiful despite not being on the Outer Reef. 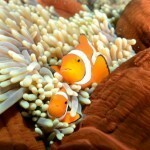 The marine life is just as energetic and abundant as the marine life on the Outer locations. 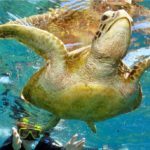 So, you’ll still swim with hundreds of fish, turtles, and maybe even a white tip reef shark. Even the shallow lagoons offer something exciting. 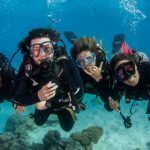 As you’ll remain closer to the water’s surface, everything you see will be more vibrant and colorful than if you were to scuba dive– you won’t miss out on a thing. 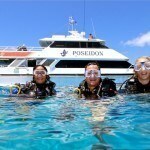 Snorkel day tours are perfect for a relaxing getaway, nature lovers and those looking for a bit of adventure. 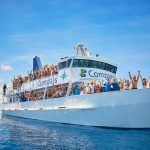 With many snorkel trips to available, you’ll find the perfect package for you.